This is a sponsored article on behalf of Merlin Events. 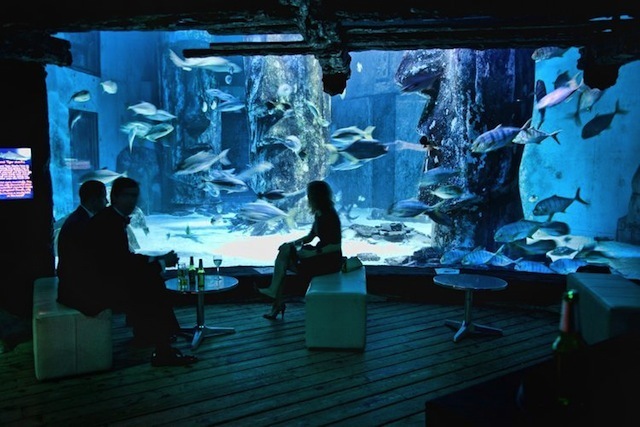 Earlier this year, SEA LIFE London Aquarium opened its doors later than usual for a special after-hours, adult-only event. There were fish. There was booze. There was not a screaming child in sight. Unsurprisingly, it was a sell-out, and if you missed it last time then do not fear - SEA LIFE After Dark is back by popular demand for another deep sea soirée. Cocktails or cockles? Pints or piranhas? Shiraz or sharks? At SEA LIFE After Dark event you won’t have to choose, so dip beneath the surface for a VIP late opening. Enjoy a complimentary welcome cocktail upon arrival, before acquainting yourself with the penguins, crocodiles and jellyfish that reside within. Steel yourself to walk through the glass walkway with sharks swimming inches from you, meet the Aquarium’s friendliest residents in the Ray Lagoon, and make sure you are well watered with drink and snack bars available on the night. It’s not every day you get to catch up with friends surrounded by turtles and stingrays, so go on. Take the plunge. SEA LIFE After Dark takes place on Friday 22 November from 6.30pm. Tickets start from £15 (includes one drink), visit the website to book tickets and for more information. Over 18s only.